Why Choose Englo Wet Dust Extractors Over Baghouse Collectors? 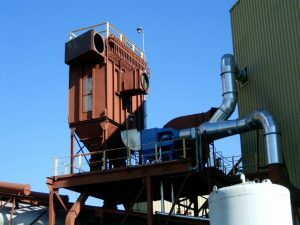 This baghouse and fan at a coal-fired power plant crusher building was replaced by the Englo wet dust extractor shown in blue. 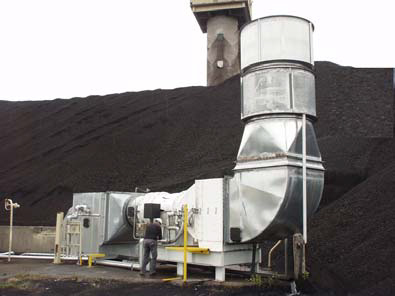 Englo Dust Extraction Technology™ provides turnkey dust control solutions for difficult applications using the unique Englo wet dust extractor. Englo systems deliver a simple, compact and rugged alternative for mining and processing operations of all types.